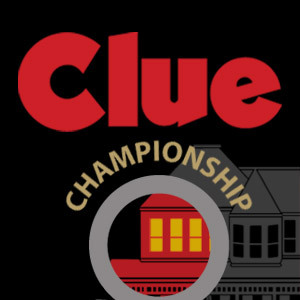 CLUE The Musical, based on Hasbro's popular board game, has entertained audiences for over 20 years with productions in more than 500 cites worldwide. What began as an international competition and evolved into a theater sensation, is now an interactive entertainment for audiences of all ages. See what everyone is excited about. 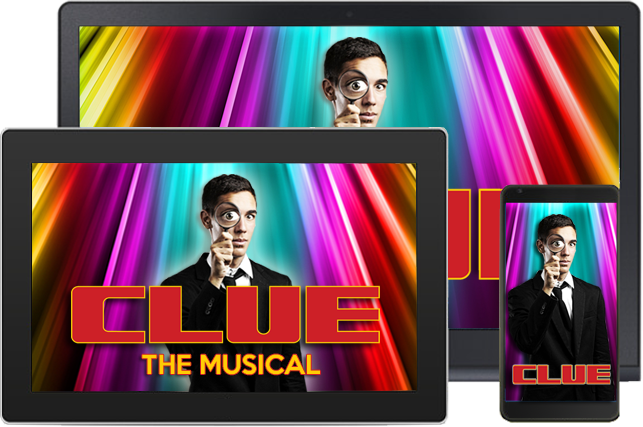 The world's most beloved mystery suspects sing, dance and engage audiences... in person and on the CLUE The Musical app. Born in London, raised in New York, attended Oxford, and is now part of the British Think Tank in Washington, DC. 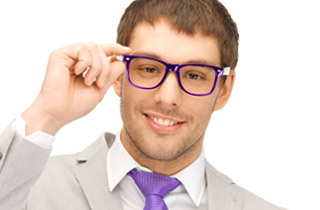 I am Professor Plum. BA, MA, PhD... that's me. I am an author by trade, an intellect by birth and an American by choice. I was born in London, raised in New York, attended Oxford and years later became part of the British Think Tank in the States. It was in Washington that I met Mr. Boddy. He was a lobbyist for the oil industry. He asked me to ghost write a book for him about government involvement in the oil industry, for a handsome fee. Indeed, I agreed. As Somerset Maughm said, "Money is like a sixth sense. You can't make use of the other five without it." Actress, singer and Las Vegas performer. Opens for a dog-juggling act at Billy's Lonestar Bar, Grill and Casino. I am Miss Scarlet. I'm an actress. Well, a singer. No, more like a performer. You know, I do it all... or so that's what my men friends tell me. No one knows this, but I first met Mr. Boddy, when I was performing in Las Vegas. I opened for a jog juggling act, which played every Tuesday at three a.m. at Billy's Lonestar Bar, Grill and Casino. Mr. Boddy was in Las Vegas, saw my show, loved it, and asked if I would give him an encore in hotel room. Well, you know me... I love an audience. Stormed bunkers, pillaged barricades and triumphed in war. Suffers from the rare and unusual disease non-identifyus-itus. Colonel Mustard here. I've stormed bunkers, pillaged barricades and triumphed in war. Not with might, but with imagination. See, this soldier never had the opportunity to serve in the armed forces, because of legislation passed by Senator Boddy, Mr. Boddy's father. It bans from the military any person who has the disease that causes people to mistake humans for inanimate objects, non-identifyus-itus. 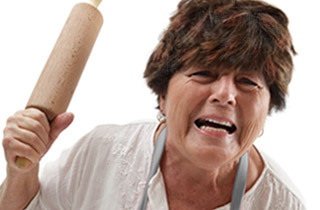 People live quite normally with the ailment, 'til their blood pressure rises. Then your son becomes a skateboard, your neighbor a punching bag — you get the idea. Shortly after the bill passed, Senator Boddy mysteriously died. Now, Mr. Boddy calls me Dad. Well-known, well-traveled and well-preserved. Rose of the Peacock family and chairperson of Peacock Enterprises. I am Mrs. Peacock: well-known, well-traveled and well-preserved. I am rose of the Peacock Family and Chairperson of the Board of Peacock enterprices, a position I acquired with the death of my first husband, Anthony. My second husband, Neville, gave me an authentic Renoir. Vincenzo, my third, my villa in Capri. My fourth, a 10-carat diamond ring. I've forgotten my fifth completely. He gave me... nothing. I'm happy to say I'm a newlywed again. Mr. Boddy recently became my sixth. I have wealth. I have power. I have Caitlyn Jenner's plastic surgeon. Cook and housekeeper. Works seven days a week. Sleeps on a thin, thin, mattress on a teeny, tiny cot in the basement. Me name is Mrs. White. I hate the Mrs. part, but that's what I'm called by Mr. Boddy, who I lives with, as I'm his housekeeper, but he don't pay me enough to be called both, so I say I'm just his housekeeper, and I don't mean to say I lives with 'im, 'cause I got me own teeny, tiny mattress in the basement, where I sleep on a thin, thin, thin mattress on a cot what ain't fit for prisoners in a jail cell. And the food! I get scraps, leftovers, tasteless, gristly stuff the dog won't eat. And I works seven long, hard days, with no rest for me weary bones, me weary muscles, me weary hands, feet, eyes, nose, hair. I need a drink. Sultan of the stock market. King of commodities. 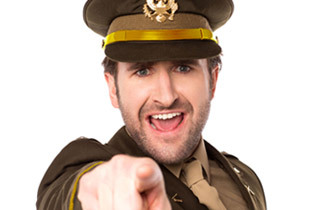 Owner of the world's most popular discount air carrier, Pennies in Heaven. Green's the name. Money's the game. I'm sultan of the stock market, king of commodities -- an entrepreneur. I got me a national chain of beauty salons called Teasin' Your Blues Away. I own the world's most popular discount air carrier, Pennies in Heaven. And I'm part of a joint venture with Mr. Boddy, which specializes in the restoration of ancient monuments, called Colossal Nips and Tucks. Our recent project is the Great Pyramids. We're gonna protect them from the elements by covering them with vinyl siding. What a concept: sandstone-colored siding that blends into the stone, so you don't even know it's there. I'm a genius. 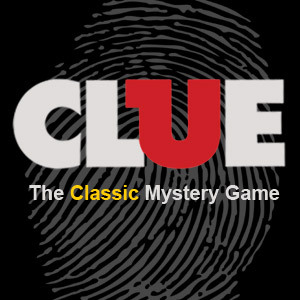 Before the show, download the official CLUE The Musical app, which provides clues and information for participating in the live mystery game. During the show, use the official app to solve whodunit, in what room, and with what weapon. There are 216 possible endings. Toward the end of the show, submit your answers via the app. Then, live onstage the mystery is solved. Winners receive special prizes. An interactive musical for audiences all ages. Anthony Pratt created the mystery game called CLUEDO. 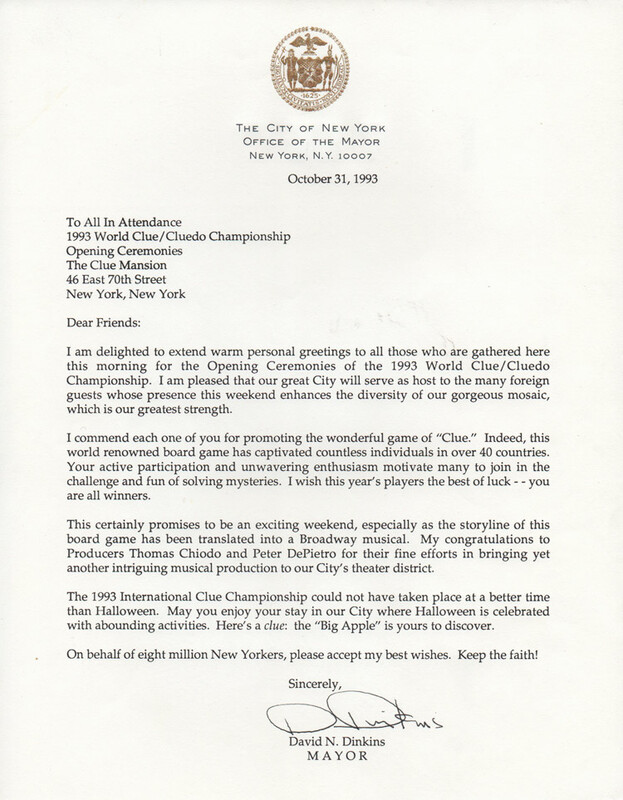 Thousands of people competed in the World Championship. 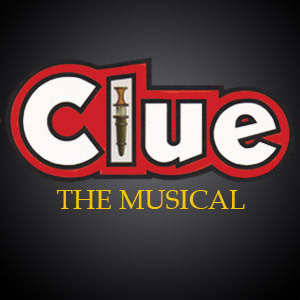 The original CLUE The Musical "makes good moves." Mobile technology is integrated into the updated musical. 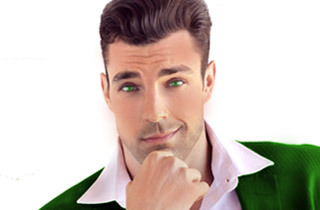 This is the official site of CLUE The Musical. 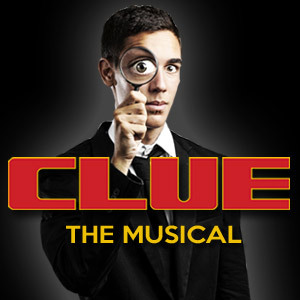 No other site, periodical, publication, resource, individual or group has permission to present or make available copyrighted material from CLUE The Musical or to misrepresent the show by making available to the public content that infringes on the owners' copyright or by publishing misinformation about the show. Only CLUE The Musical's publisher Samuel French, Inc. and theater companies and producers who obtain a license from Samuel French, Inc. have legal authorization to represent CLUE The Musical online, in print and across appropriate media platforms, per the terms of their legal licensing agreements. WARNING: This following list of websites and their controlling entities have no legitimate relationship with CLUE The Musical and may be misrepresenting it or illegally providing copyrighted material from it. The only musical where you keep your smart phone ON.